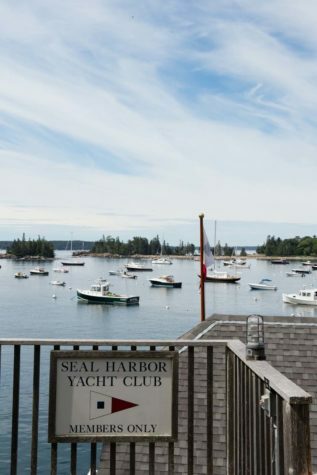 A picturesque harbor view from Seal Harbor Yacht Club. Hi Mount, a shingle-style home in Seal Harbor, is only a short walk away from the water. 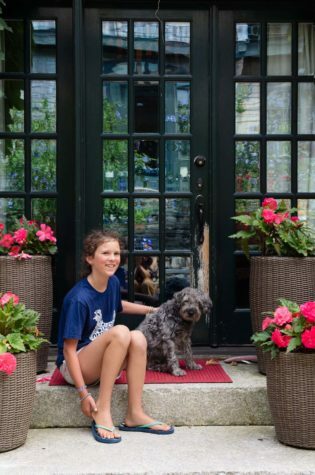 Neva Mitchell, daughter of Aaron and Erika Wibby Mitchell of Main Street Mercantile in Northeast Harbor, and the family dog, Birdie. 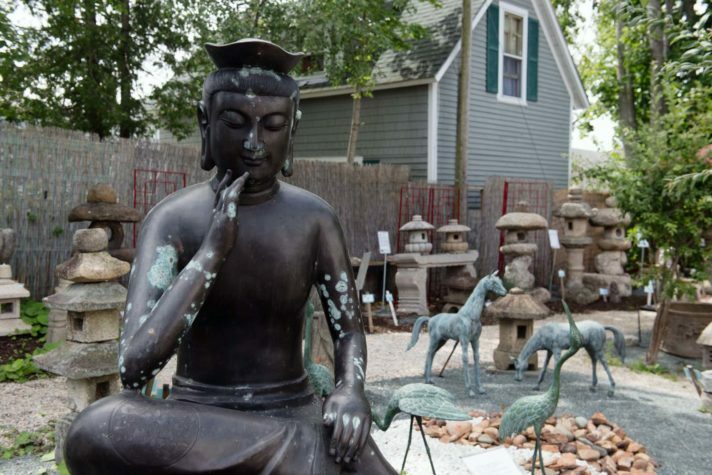 Asian garden decor at Schneible Fine Arts in Northeast Harbor. Artist’s studio at the home of Aaron and Erika Wibby Mitchell. Fleet House, viewed from the dock of the Northeast Harbor Fleet. 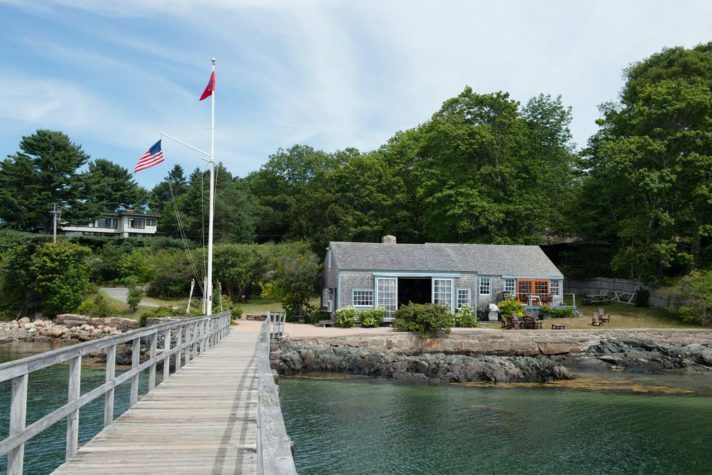 Classic shingle-style summer homes in Northeast Harbor. Entrance to the dock at Seal Harbor Yacht Club. 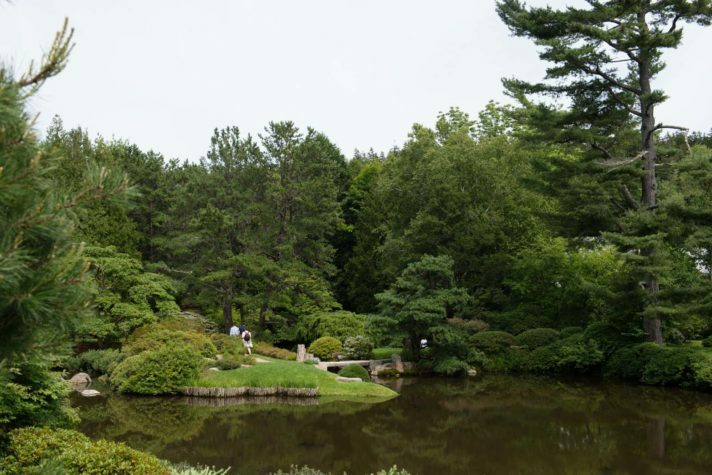 Asticou Azalea Garden in Northeast Harbor. The Seal Harbor Yacht Club clubhouse. The home of Acadia National Park, which draws more than two million visitors a year, Mount Desert Island is the most popular destination in Maine. At 108 square miles, it is also the state’s largest island, and the second largest on the eastern seaboard, topped only by Long Island in New York. 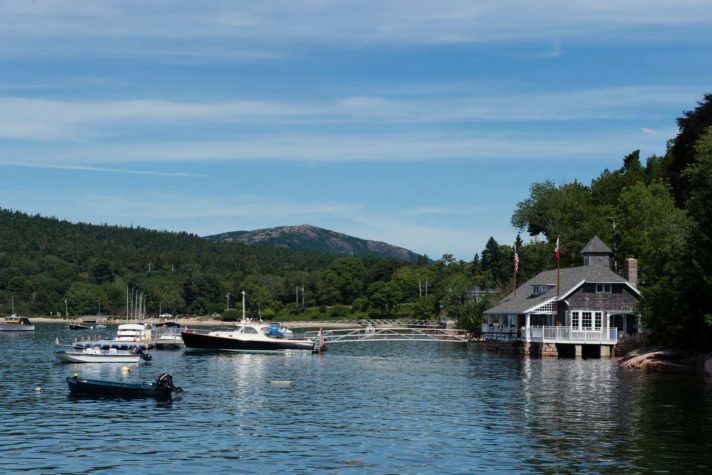 A place of dramatic natural beauty, what locals call “MDI” is divided roughly in half by Somes Sound, a deep, fjord-like body of water extending five miles inland from the Atlantic coastline. 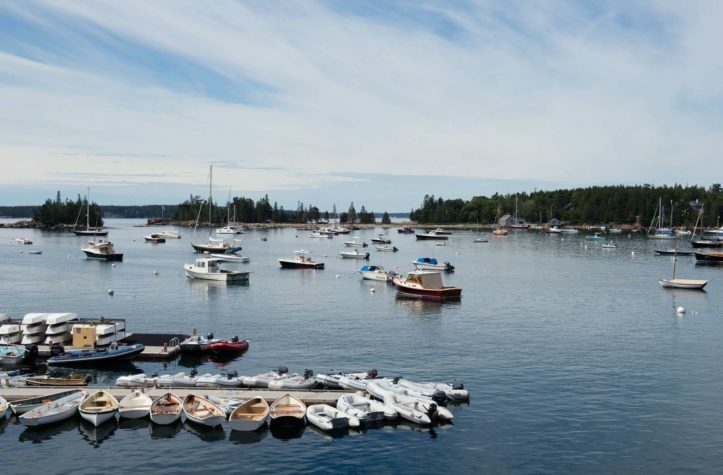 The western, or “quiet,” side of MDI includes the towns of Southwest Harbor and Tremont, with the village of Bass Harbor at its southern tip. 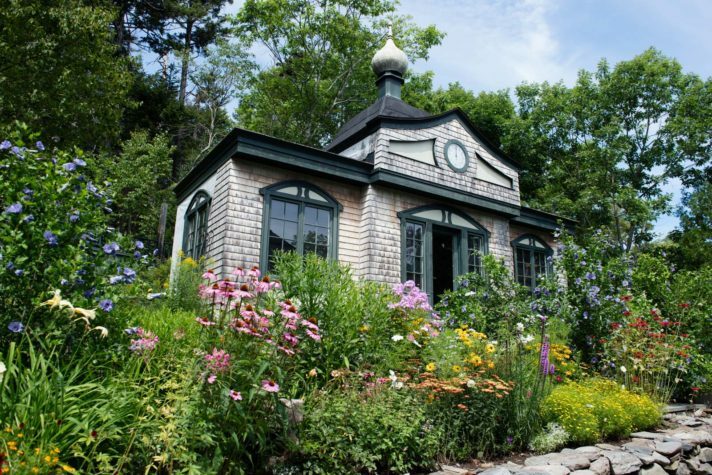 The larger, eastern side includes the main entrance to the park, its famous carriage roads, Cadillac Mountain, and the town of Bar Harbor, which teems with visitors in the warmer months. 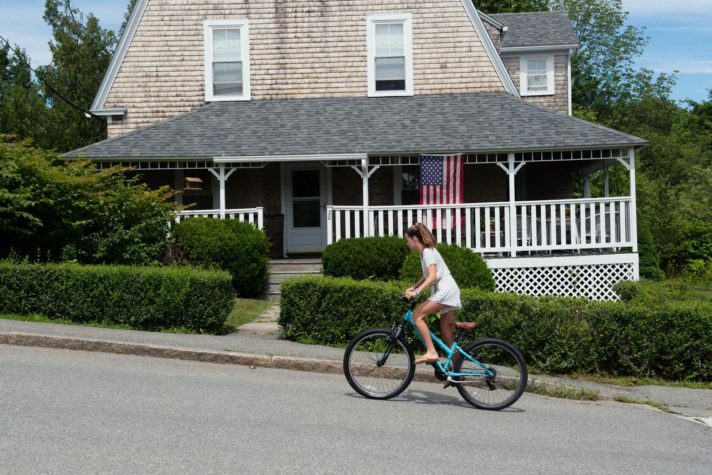 Not far away are the quieter communities of Northeast Harbor and Seal Harbor, both part of the town of Mount Desert. Here, elegant summer homes can be glimpsed along leafy lanes, and classic sailing yachts bob at their moorings. 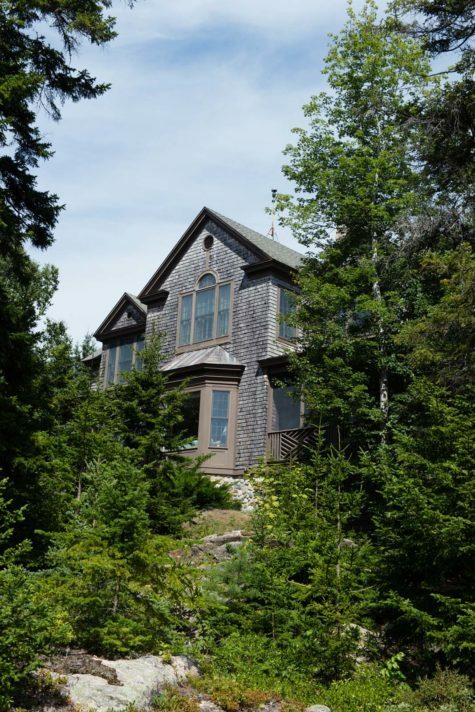 Part-time residents include Martha Stewart, whose sprawling stone retreat, Skylands, perches above Seal Harbor. Swan also likes to take friends to the charming village of Northeast Harbor, known by sailors for its protected anchorage. “Our first stop is my friend Erika Wibby Mitchell’s new shop, Main Street Mercantile, which has beautiful clothes, jewelry, toys, and lots of fun items, including work by Erika’s husband, artist Aaron Mitchell,” Swan says. Across the street, Shaw Jewelry has unusual pieces and paintings by a variety of artisans, curated by owner and artist Sam Shaw. It’s another favorite stop for Swan. 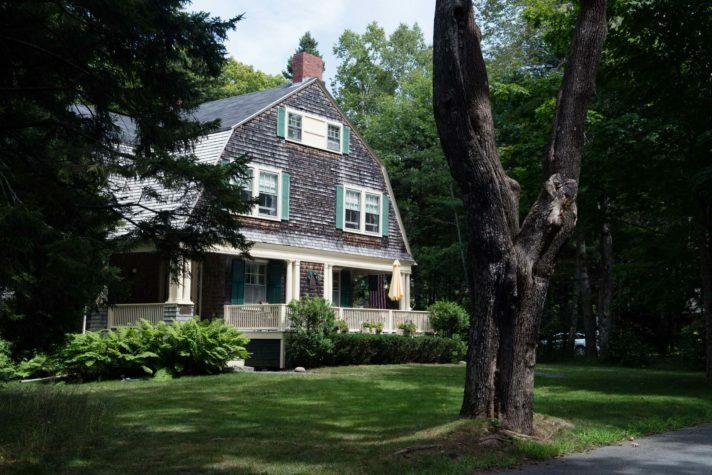 “I’ll buy myself something special there for a job well done.” Lunch is often at the grand and historic Asticou Inn, which over-looks the harbor; its menu includes the same pop-overs made famous at the Jordan Pond House in Acadia National Park. And no visit to the area would be complete without a hike. “Our favorite is Day Mountain—you can either follow the carriage roads to the top or take the path,” says Swan. 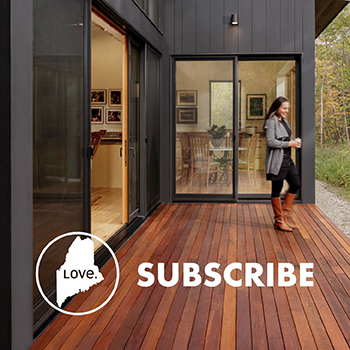 “Either way the views are fantastic, especially in the fall with all of the colors.